The boat is one of a kind. Built by Peggs this lovely classic boat has a great story on how it was built. She is 24 feet in length with a centre cockpit powered by a superb Nanni 3 – cylinder diesel engine – only a few hours old, and will sleeps four. A lovely classic boat ready to cruise. 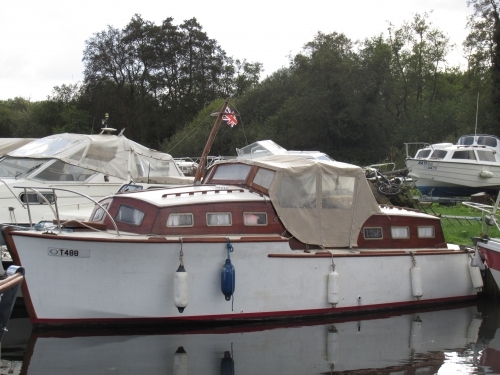 Lying afloat at our yard contact us to arrange a viewing.